Wyatt turns TWO tomorrow and we're having a little party for him this weekend. Winter babies are HARD to plan for, especially when it's AFTER the holidays and there is TONS of snow! I am sure he will grow to love having a winter party, where he can ski or sled with friends, but for now, we're homebound for the party. 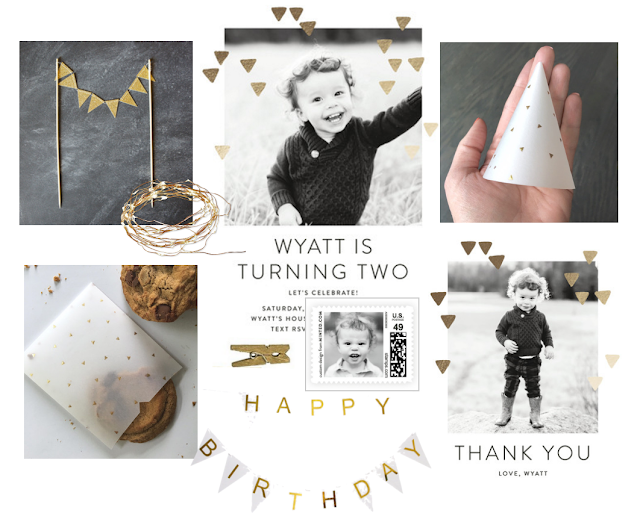 When I saw these adorable invitations on Minted, I knew we could put something festive together! 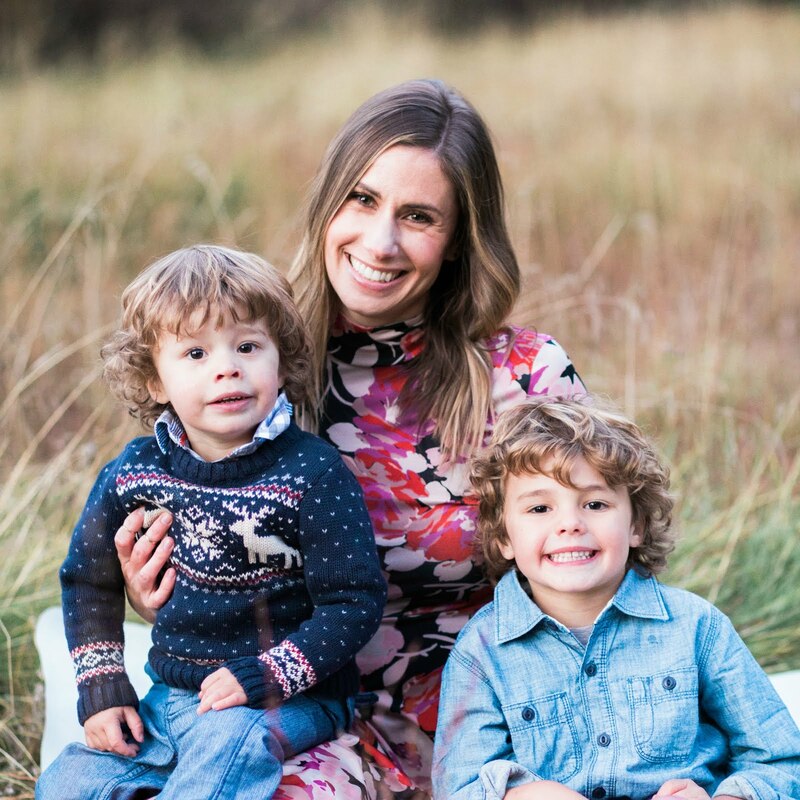 I love Minted because they have so many cute options and in this case, we ordered the matching Thank You cards too! To keep the theme going, we were fortunate enough to receive the most darling cake topper bunting from Ready Go Wedding Co. We also received these super cute mini party hats and party favor envelopes from EventEphemera. I can't wait to create the party around these special elements and want to give a huge shoutout to the owners for helping me shape the party. Etsy is the best! Last, I got some fairy lights from Target and a simple banner to tie it all together. I printed some Instagram photos from Wyatt's last year and will hang them with mini clothespin along the mantel. There will be some yummy food and drinks and the kids will run amok around the house...oh joy! Can't wait to share more after the party this weekend! I have one January baby, so I can relate. While our weather here is a bit milder, it can be a challenge finding something indoors. Love the things you have picked out. Happy Birthday to Wyatt. LOVE all these little touches - its going to be the BEST day for your little man!! How is he TWO already?! emerson can't wait to par-tay! btw love the new look.